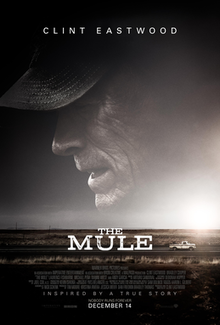 The criminal in spotlight in The Mule is an octogenarian horticulturist from Peoria, Illinois named Earl Stone. He gets a kick out of working for a drug cartel that considers him a safe risk—until he isn’t. Clint Eastwood is so believable as Earl that when the cops from the Federal Drug Administration led by Bradley Cooper and Michael Pena turn the tables, you don’t want them to.